Printed two sides on heavy gauge aluminum with bright reflective outdoor material. Available with either Blue or Green Background. Select Vertical or Horizontal Mount, two pre-drilled holes for easy installation. Custom Online Signs has the largest variety of custom signs. We have tons of templates to choose from to help you get an idea of what you want in your signage. Our designs are fully customizable and you can even start from scratch to personalize it however you lie. 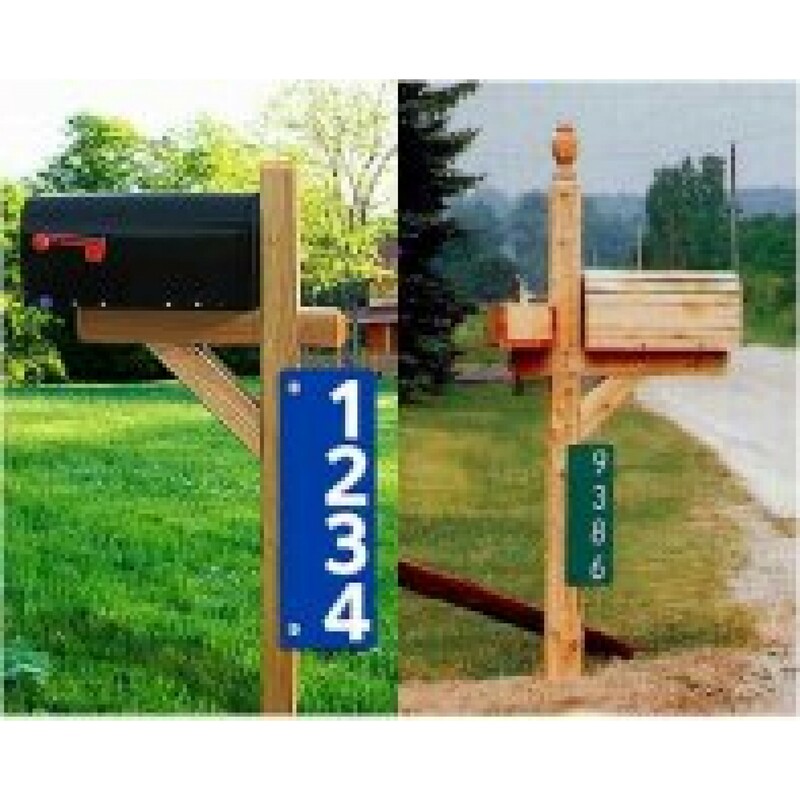 Our featured signs are just a brief sample of the variety of options we offer. Choose from tons of categories to find the sign that best suits you. Custom signs make it easy for your business to stand out in a crowd. Reflective BLUE Address Sign VERTICLE MOUNT 18x6 inches, reflective white numbers on Two Sides, two ..
Reflective street signs 18x12 inches..
Reflective BLUE Address Sign SIDE MOUNT 6x18 inches, reflective white numbers on Two Sides, two pre-..
Reflective GREEN Address Sign BOTTOM MOUNT 6x18 inches, reflective white numbers on Two Sides, ..
Reflective GREEN Address Sign BOTTOM MOUNT 6x18 inches, reflective white numbers on Two Sides, two p..
Reflective GREEN Address Sign SIDE MOUNT 6x18 inches, reflective white numbers on Two Sides, tw..
Reflective GREEN Address Sign TOP MOUNT 6x18 inches, reflective white numbers on Two Sides, two..
Reflective BLUE Address Sign BOTTOM MOUNT 6x18 inches, reflective white numbers on Two Sides, two pr..